BRAND offers 5 liquid ends for use with the Liquid Handling Station. 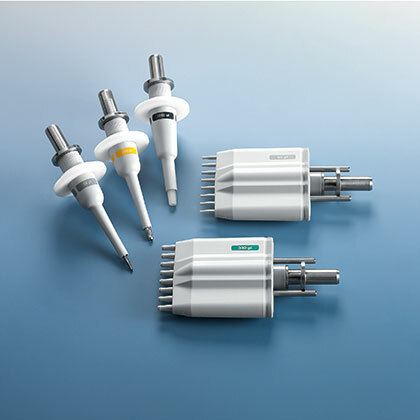 These liquid ends operate on the same air-interface principles as the piston-operated pipettes widely used in laboratories. 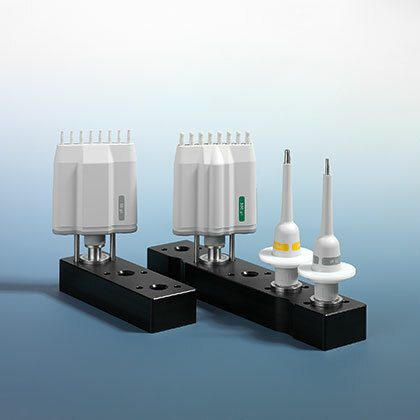 There are 3 single channel (SC) liquid ends for volumes up to 1000µL and 2 multi-channel (MC) liquid ends for volumes up to 300µL. 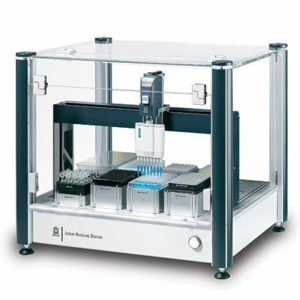 The volume testing of these pipetting modules is carried out according to ISO 8655 part 6 leading to very high accuracy values and low CVs. No tools are needed for liquid end placement or removal. 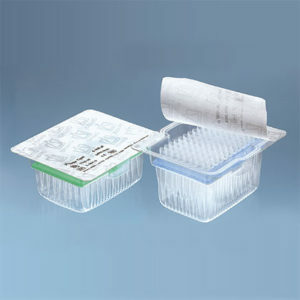 BRAND liquid end pipetting modules are designed for use with the Liquid Handling Station. 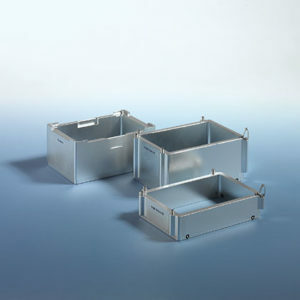 They are autoclavable, have a DE-M marking and come with a quality certificate. BRAND liquid ends are designed to be used with BRAND robotic tips. 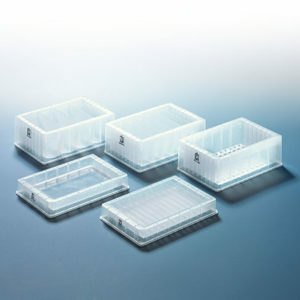 For storage, 3- and 5-place liquid end holders are available. Holders for Liquid Ends (Liquid Ends not included).